Showing results by narrator "Cathy Greenberg"
By: Cathy L. Greenberg Ph.D., Barrett S. Avigdor J.D. Narrated by: Cathy Greenberg Ph.D., Barrett Avigdor J.D. 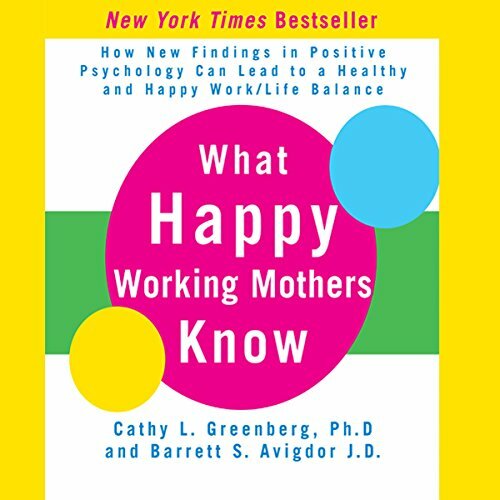 For working mothers who face endless demands on their time and attention, What Happy Working Mothers Know provides scientifically proven and practical ways to replace stress with contentment and to find the right balance between work, motherhood, and life. Your own happiness is important—because happy moms make better moms and more successful professionals.